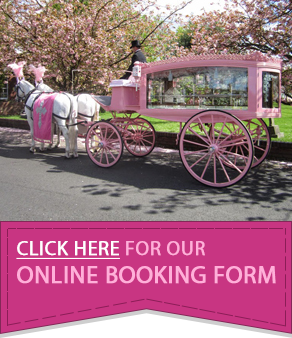 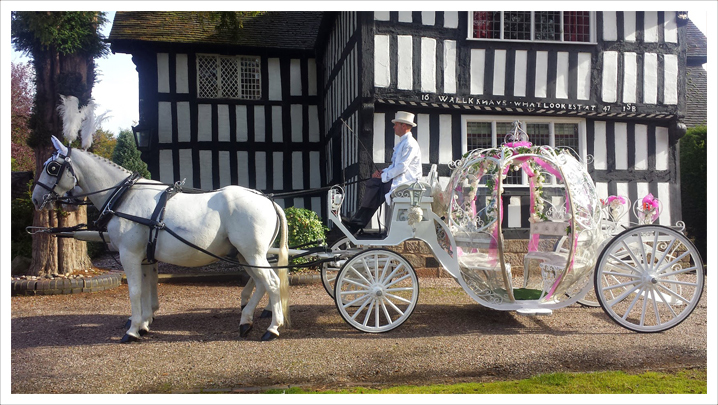 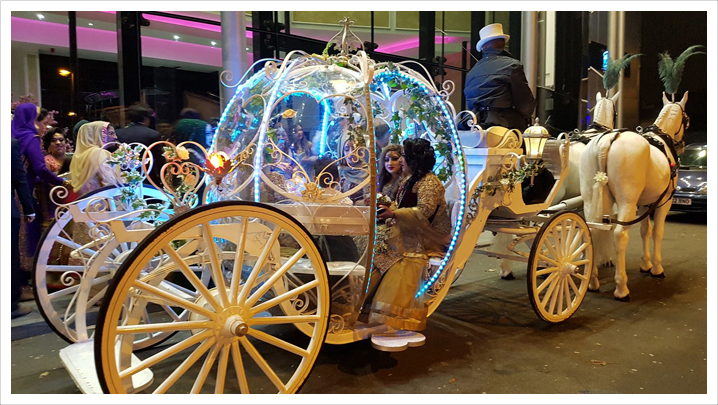 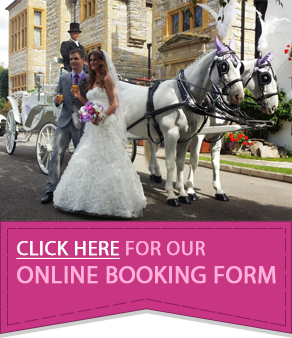 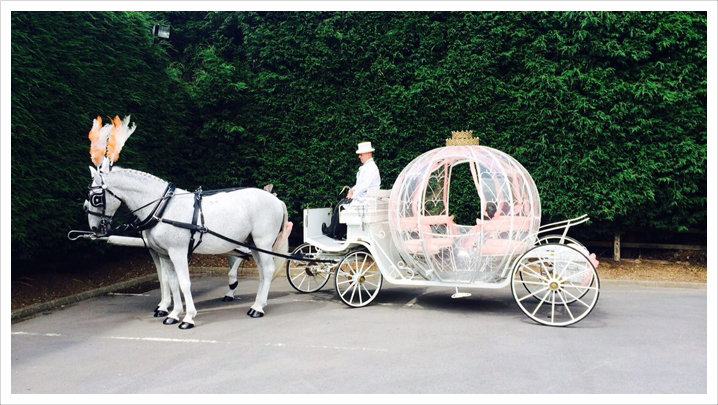 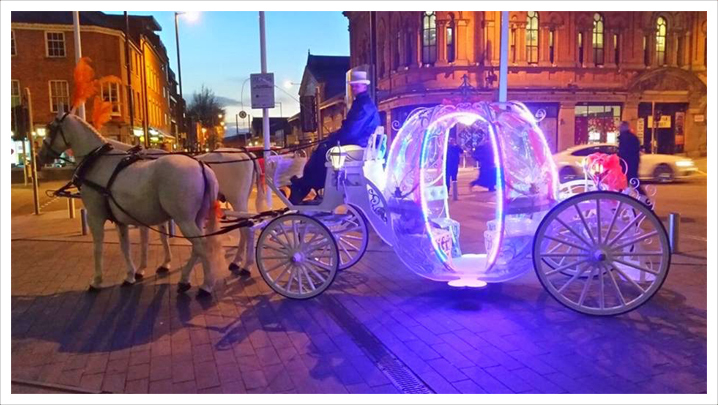 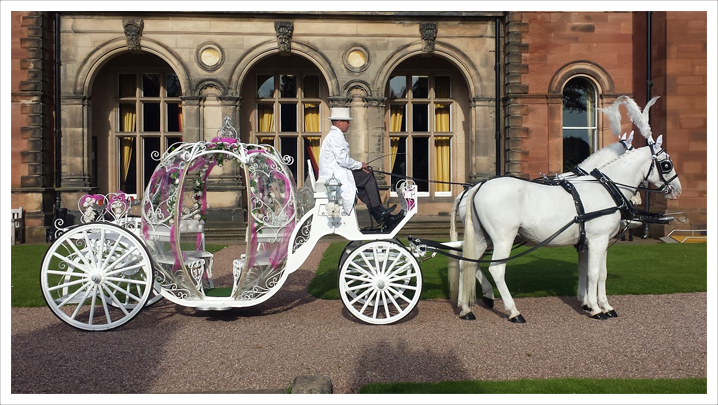 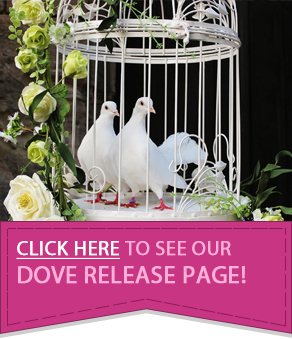 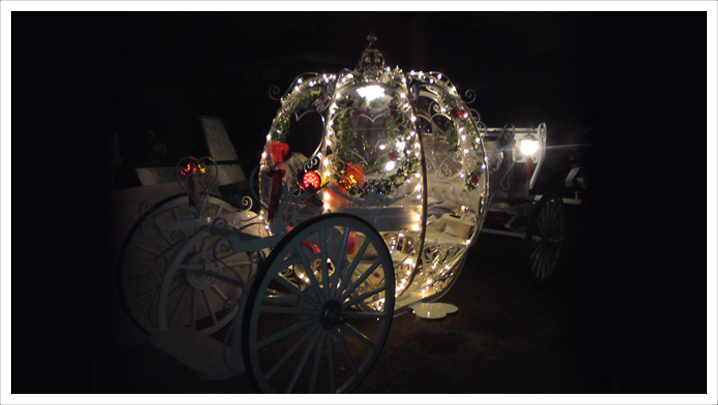 Our Cinderella Carriage hire is suitable for all events including weddings, proms, birthdays and special occasions. 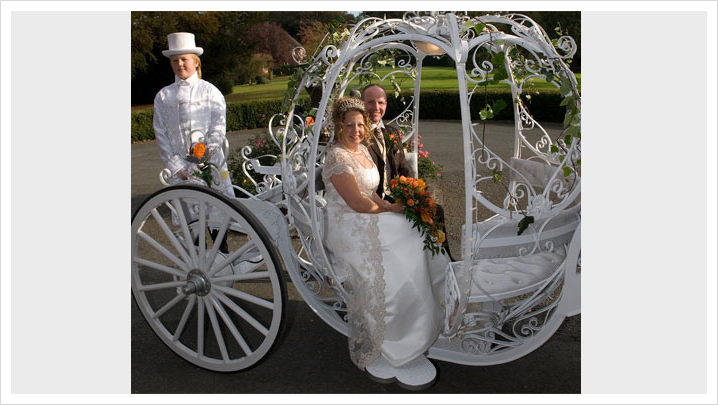 Due to its removable, transparent roof and sides, this horse drawn carriage can be used in all weathers. 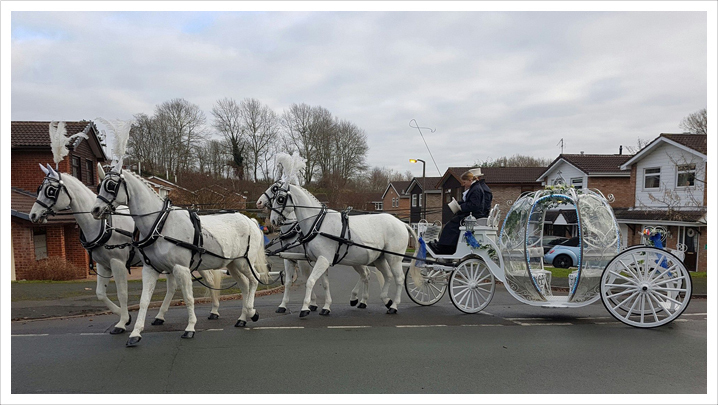 Hand designed in California – the home of Disneyland – our beautiful Cinderella Carriage offers a real fairytale experience and is sure to make any lady feel like a princess.